Valentines Day Bouquet of White Roses. Order White Roses for your Valentine. Shower them with Love and White Roses. Send online now! Small – Single White Rose. Medium As Pictured – 6 White Roses. 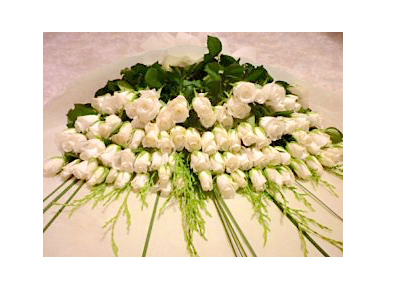 Large – 12 White Roses. Impressive – 24 White Roses.